We provide what everyone assumes should be a "given", but often isn't, when you visit a dental office. Our cherished patients deserve nothing less than the best in return for the highest compliment we can ever be paid: that you choose our office. We commit to you that you will receive the answers you seek, and an explanation in terms you understand. 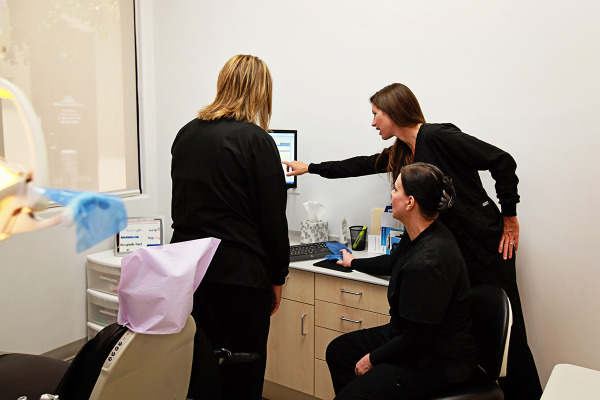 We will use our considerable experience as a team, as well as the leading edge of technological advancements to help you achieve your optimal dental health. Should a dental emergency occur, we make every effort to see and care for you as quickly as possible. It is our pleasure to make you our first priority. There is one issue upon which our practice will never compromise: as a Team, we believe the key to your dental and overall health is prevention and education. We promise to provide you with the tools to make informed decisions, and the training to perform your home-care to the best of your personal ability. You already know that routine cleanings, flossing, sealants, and fluoride are all helpful in preventing dental disease. We promise to step up the quality of the patient education in our office, so that YOU can become an expert in YOUR dental health decisions. Since your dental health has such a huge impact on your overall health, a review of your medical history can help us stay informed of your overall health, any new medications, and any illnesses... as well as enable us to educate you as to how your dental conditions affect things like pregnancy, diabetes, inflammatory conditions, and heart disease. Strict infection control is uncompromisingly enforced in our practice. For your protection (and ours! ), we strictly maintain sterilization and cross-contamination systems which exceed those recommended for your safety by the American Dental Association (ADA), and the Center for Disease Control (CDC), and for our safety by the Occupational Safety and Health Administration (OSHA). It's a win-win! You've chosen our Team to care for your dental health, and we thank you by investing time and dollars into continual education and learning. We hold regular staff training meetings, and attend dental lectures and conventions in order to stay abreast of the leading-edge techniques, products, and technology which a modern dental office can utilize to provide state-of-the-art dental care. Also, being members of various professional dental associations helps us to stay abreast of the changes and recommendations for our profession. Why are we smiling? We’re excited about dentistry! 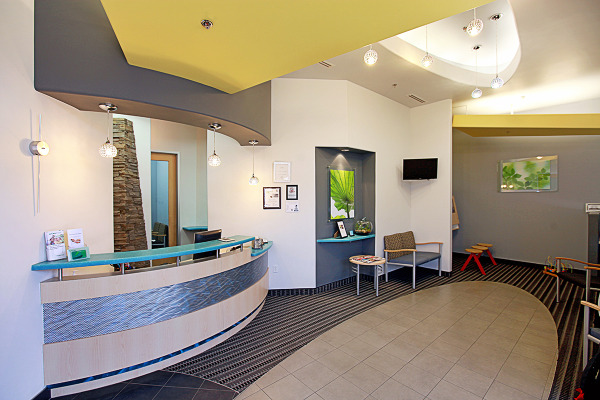 This is just one attribute that sets us apart from other dental offices. Our enthusiasm and industry expertise ensures each patient receives the highest quality of care within a friendly and welcoming environment. Our Doctor will guide you through your journey to optimum oral health through his extensive education. There is no dental care need that we cannot assist you with in our office: dental implants, periodontics, endodontics, oral surgery, orthodontics, laser and beautiful cosmetic dentistry. In fact, most of our patients arrive following word-of-mouth referral from friends, family and co-workers. Because no two mouths are quite the same, every patient receives personalized and comprehensive treatment based on their own unique needs. We can work with you to create a healthy and more confident smile. Everyone has something to smile about at Higley Park Dental!